Best place to park is near Target (either side) and walk in to the Courtyard. Next to Panera Bread, across the courtyard from Macy’s. Between Target & Movies. 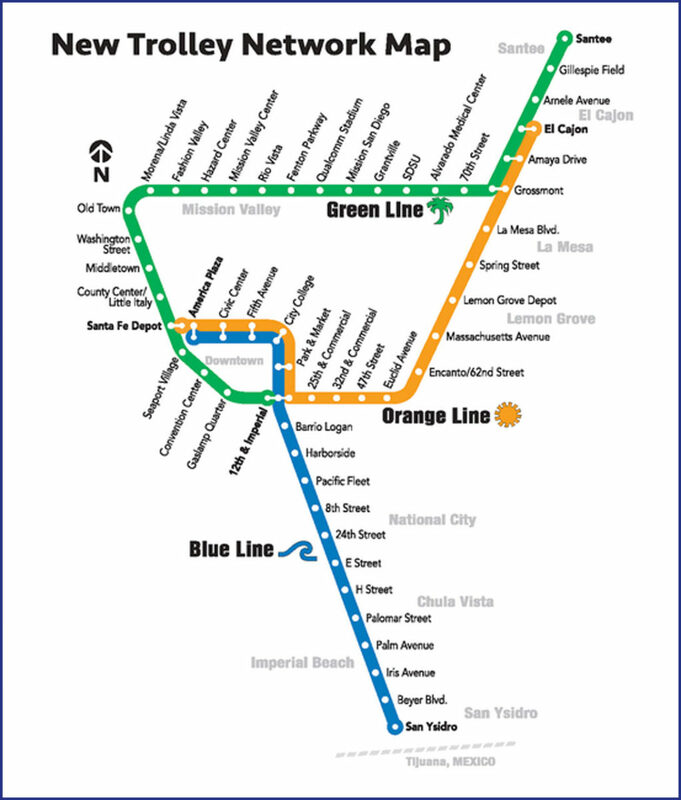 Only the Green & Orange Lines stop at Grossmont Station. 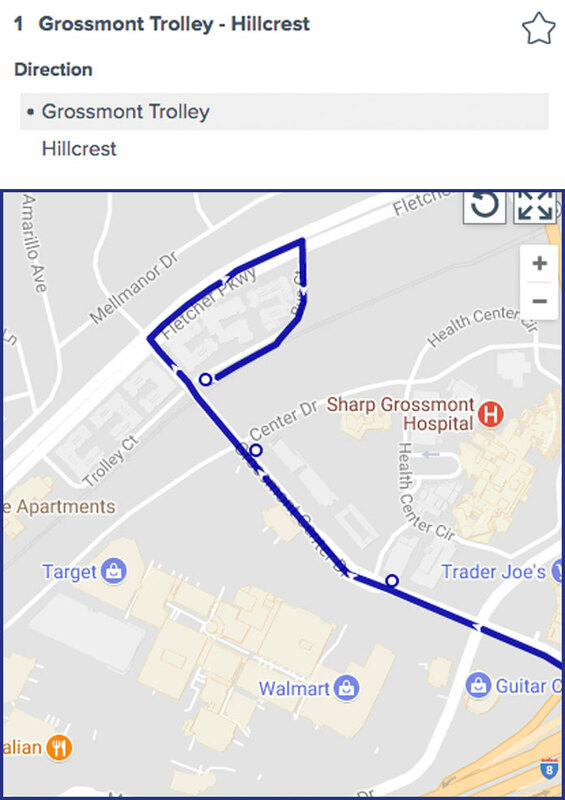 Take the Elevator UP to the bridge / Grossmont Center Drive and walk up the hill towards the hospital. 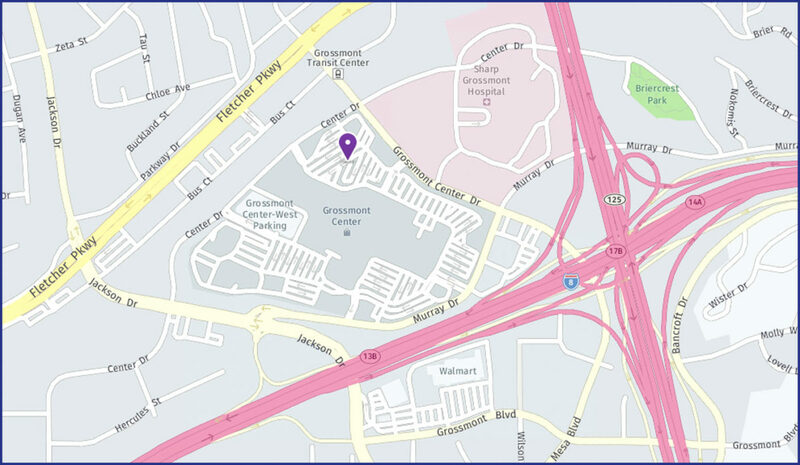 At the 1st light – Center Drive – cross the street to the mall. 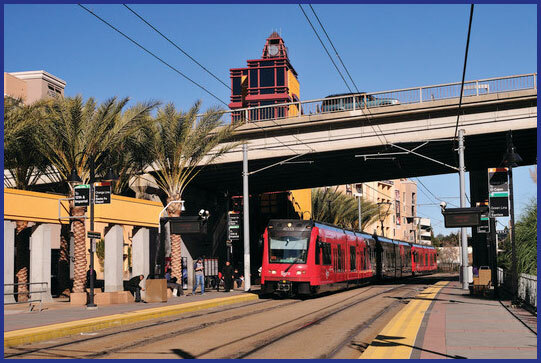 Grossmont Trolley Station to Grossmont Center Mall.